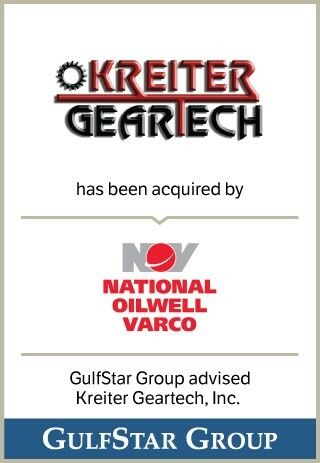 Geartech, Inc. d/b/a Kreiter Geartech (“Kreiter Geartech” or the “Company”) is headquartered in Houston, Texas. Kreiter Geartech is a world-class manufacturer of precision gearing solutions. The Company’s services include the design, manufacture, repair and refurbishment of gearbox systems and loose gearing components. Since 1910, the Company has served customers across a number of industries including oil and gas exploration and production, petrochemical, plastics, refining, sugar, paper, marine, construction, cement, steel, utilities, and defense.